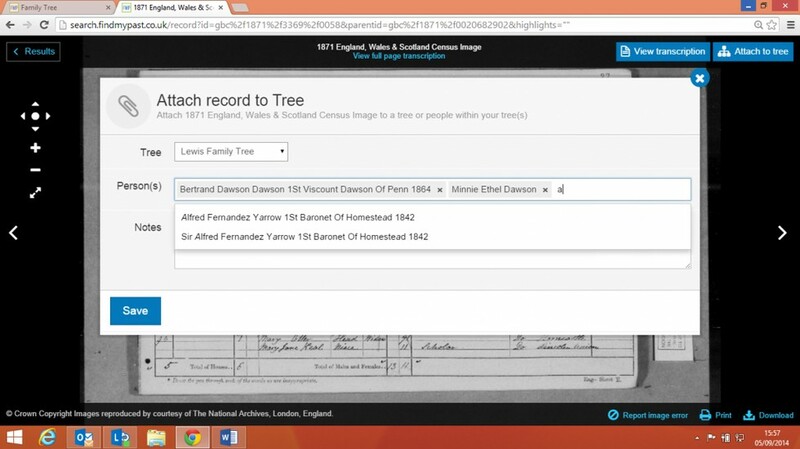 We’re delighted to announce that Findmypast customers can now attach records to their family trees on Findmypast thanks to a new “Attach to tree” button. Follow the directions below to keep all of your family tree records in one place. This button will now appear on the top right of all images and transcripts across the site. When viewing a record you want to attach to a person in your tree, simply click the attach button and this window will appear. Select which of your Findmypast family trees you wish to attach the record to and then start to type in the name of the relevant ancestor. A list of all the people in your tree with similar names will appear as well as their dates of birth. 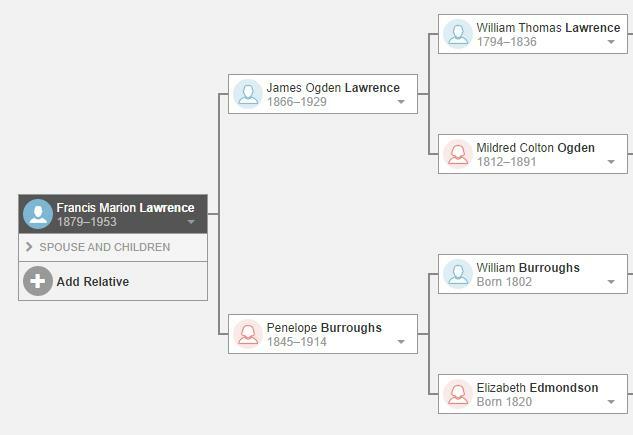 Select the person you want to attach the records to and then, in the case of a record with many ancestors listed such as a census, you can look for further names in the list to add the record to and select those too. Once you have selected all the names of all the people that you want to attach the record to, press the Save button. 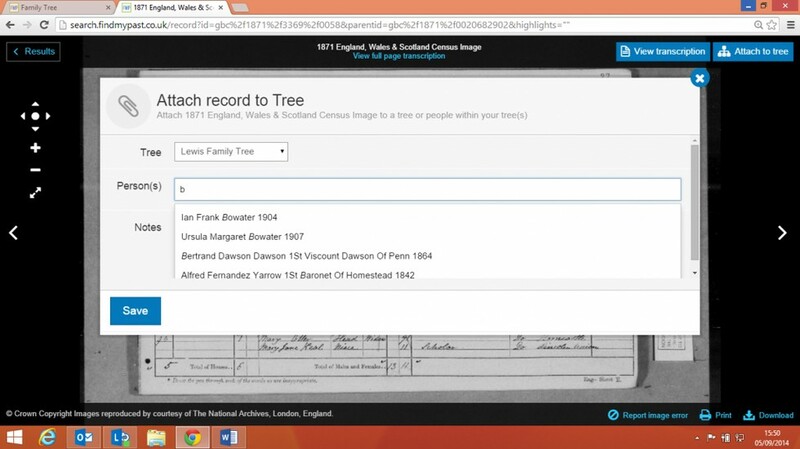 You will then find the record stored in your family tree in the relevant ancestors’ overview and media pages.